When it comes to choosing your ideal spot overseas, of course you want great scenery, plenty of places to go and see, a good social life and great restaurants, but you can find these almost anywhere. For me, there were five more practical must-haves I was looking for in my dream retirement location. Affordable housing. Every retiree wants a great home but without Australia’s high prices. The lower the price, the more money left over to spend on enjoying life. A low cost of living. As retirees, we’re usually on a tight, fixed budget. So we wanted to live somewhere where we wouldn’t have to pay $35 for a main course (vegies extra) and where staples at the supermarket don’t break the bank. Great Healthcare. As you get older, you really want top-notch healthcare. Not just good, but the best—and at an affordable price with well-trained healthcare workers. Access to travel. Us Aussies like to travel and there’s not much point in retiring overseas unless you can see everything on offer. So, access to efficient, comfortable and reliable transport was a must. We wanted good roads, nearby railway stations and airports and reasonable prices too. Good Communication. Keeping in touch with friends and family at home is, of course, important; so we wanted reliable and fast broadband, top mobile phone coverage and plenty of public WiFi. For us, France was a clear winner. It absolutely nailed every one of our criteria. Housing is affordable (or even ridiculously cheap) whether you are buying or renting. We’re currently housesitting in the Aude department, part of the Occitanie region. 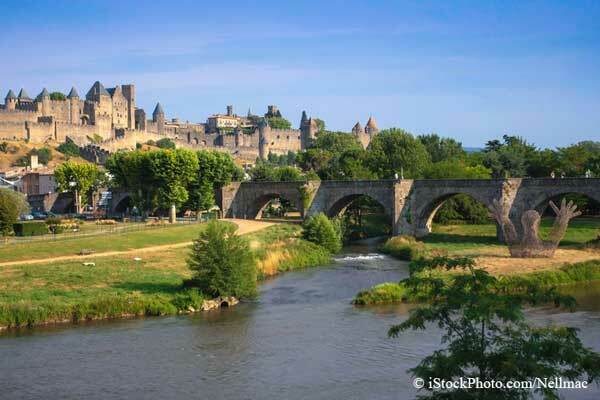 We’re between Toulouse and the popular tourist destination of Carcassonne and I’ve seen terrific village houses for sale in the area for under $150,000. They’re within easy reach of Mediterranean beaches and historic towns great for exploring, plus you’re just a couple of hours’ drive to ski slopes and a short run into Spain for some tapas. Stewart’s savouring French village life close to the tourist hotspot of Carcassonne. Not only does France have some of the world’s finest cuisine, it can also be enjoyed at bargain prices. At the supermarket you can choose from a thousand different cheeses all at miniscule prices (how does $6 sound for a kilo of Camembert?) and pick up top wine from places like Bordeaux at less than $5 a bottle. The World Health Organisation has consistently named France as having the world’s best healthcare system. A visit to the doctor will cost you less than $40 and you get 70% of that back from the government after three months’ residency. Once you are in the French health system, prescription medicine is less than half the price you would pay in Australia. 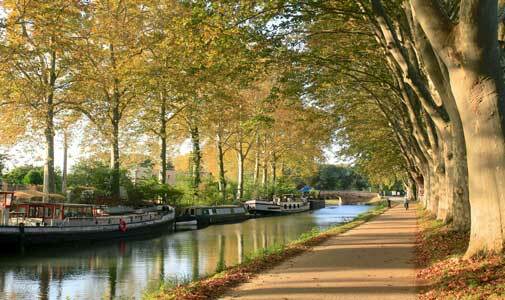 Getting around France is easy and there are always plenty of people willing to give a hand or lend advice. It’s home to an exceptionally efficient rail system with substantial discounts for those over-60s, 130 km/h super highways and a network of small airports to take you anywhere in the world. The country’s biggest international airport, Charles de Gaulle, has a TGV (very fast train) station underneath the terminal so you get off the train, go up the escalator and you are in the terminal. It also has stations for the metro lines into Paris. My wife recently flew from Limoges to London Stansted for less than €25 ($40) return and hired a car for the three days she was there for a total cost of around €80 or ($126). France also has terrific broadband and an ongoing fibre roll-out with a choice of excellent mobile phone providers. Free WiFi is available in most places, especially the more popular tourist areas. You can even select your own climate here, from the windswept beaches of Normandy to the rugged eastern departments, the stunning Mediterranean climate of places like Provence or the balmy warm climate we’ve discovered here in the Aude region of southern France. Decide on your own criteria—you may have more than the five I’ve listed—but take it from me, if you’re looking to live the European dream, you won’t go far wrong in France.